The Wahhabiyya refer to a set of narrations which they claim is proof that tombs and elevated marking of graves are “prohibited in Islam” and a “means to polytheism“. They then use it as a propaganda tool for their barbaric destruction of Islamic relics, heritage and knowledge and as weapon to wipe out all traces of Islamic history(as the whole of Islamic history is a threat to them). With their destructive actions they then hope that it would lead to replacing Islam and Muslim society with a Wahhabi cult version of Islam and a Wahhabi-fied society, as the generations that would come later they hope would be disconnected from the Islamic history and heritage. 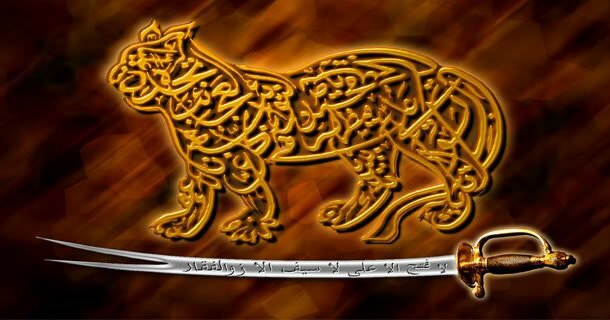 The ways of the Wahhabiyya are no different to the Crusaders, Mongolians, Communists and Western Imperialists who occupied the lands of Muslims and carried out the very same cultural destruction to remove traces of Islam from the hearts of people and hope to make the people obedient to their ways. But history has proven that they failed and Islam remained and fought back. And history will repeat once again when the Wahhabi attempts at destroying Islam will be fought back and chased away into oblivion. In support of the victorious march of the Ahlus Sunnah wal-Jamaah is the following article, a part exposition of the Wahhabi cult and their distortion of Islamic texts. It will be shown why the narrations that are used by them to justify their acts of destroying Islamic relics, graves of venerated leaders, monuments and other vestiges of Islamic history, are deceptions to misguide the laymen. It will be shown how the Wahhabiyya in reality have no basis at all, to justify any of their acts. Meaning, because of the fear that the practice of what the cursed from the Jews and Christians did, might occur again, they did not rest the Prophet (peace be upon him) in an open place. Imam al-Bukhari, in his Sahih, brings the same narration containing this added statement of Sayyida Aisha(r), under the heading “That which disliked in respect of siting mosques over graves”, indicating that this narration explains what exactly is being disliked or prohibited by these category of narrations. The curse upon Jews and Christians was not for having the graves within a closed place or a house(bayt). For if that was the case then it would imply the absurd notion that the companions took the caution of the curse of the Prophet (peace be upon him) against Jews and Christians, by doing the very act that brought about the curse. Therefore, these narrations are not in any sense a prohibition against having a house or a structure, with a grave within it. The narration proves unequivocally that the concept of taking the grave as masaajid, had nothing to do with whether the grave is placed in a closed structure or an open place. 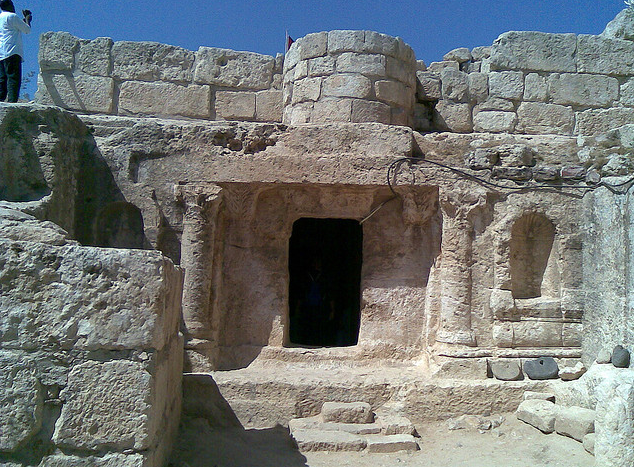 This also unequivocally proves that the one who claims such closed structures over tombs should be destroyed as it “leads to shirk” or “imitation of Jews and Christians” are dead wrong, as the sahabah instead feared that the open place would lead to such imitation of Jews and Christians, rather than the closed structure. The action of the companions to rest the Prophet (peace be upon him) within the room of Biwi Aisha (radiallahu anha) also proves that the narrations which prohibit “building over a grave”1, has got nothing to do with a grave being within a closed structure or a bayt(house) as in the case of the grave of the Prophet(peace be upon him). 1) Prostrating towards the grave. 2) Praying on top of the grave. 3) Taking the grave as qiblah/direction of prayer, by praying towards it. 4) Using the area besides the grave for any prayer, prostration or forms of worship. 5) Building a house of worship containing the grave. 6) Frequently visiting the graves. There are no other possibilities upon which this narration is interpreted. Now, from these possible meanings, the first three prohibitions are agreed upon by all and no one disputes on this matter. Those who accuse the ahlus sunnah of permitting this are nothing but liars, as all the Ulema of ahlus sunnah did prohibit those actions and the Wahhabiyya are not required to teach anyone these prohibitions. Therefore, praying on top of the grave, and henceforth also building any structure that leads to or causes prayer to be performed directly on top of the grave, is prohibited. And this would be the meaning of the prohibition of taking the grave as a masaajid, that it is a prohibition of the grave itself being considered as masaajid; and not a prohibition on taking the area besides or around the grave as a masaajid. The fourth possible meaning to the narration is that, it is against any form of prayer or worship being performed besides the grave. All these reports that cursed the Jews and Christians were narrated from Aisha(radiallahu anha), and her actions are therefore the best explanation for its intended meaning. Those who still stand in opposition to any of this need to bring decisive proof for the prohibition, and not just speculative or conjectural rhetoric. Besides all of these evidences, the mosque and grave that is sunnah for Muslims to immitate is nothing but the mosque of the Prophet(peace be upon him). 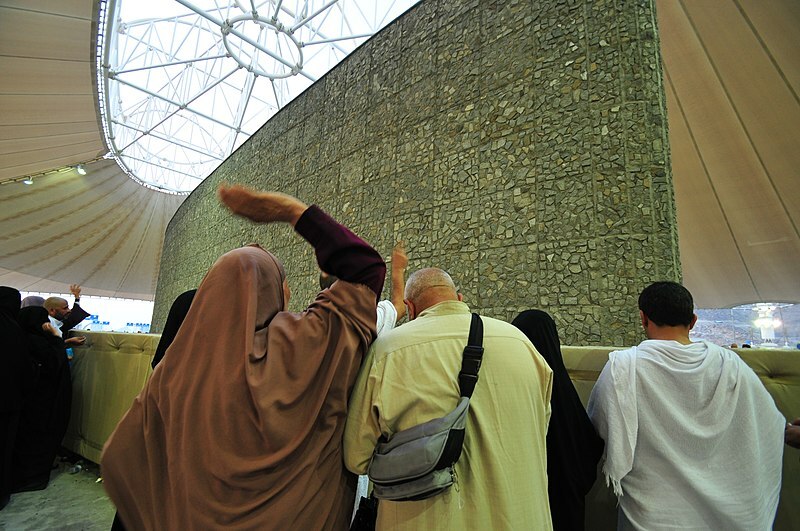 The grave of the prophet(peace be upon him) was seperated from his mosque by merely a wall. So every act of worship that was performed from the mosque by the salaf and generations of righteous Muslims till today, seperated from the grave by merely a wall becomes proof for the legality of having all such worship performed, by mere such requirement of a seperation of the grave with a wall. This proof is clear, unequivocal and unchallengable. The fifth possible meaning, is that it is prohibited to build a house of worship/place of worship containing the grave. Instead, if having a “masjid built over them” is meant differently, in the sense of having the grave connected to or in the vicinity of a masjid or a masjid complex, then there are no hadiths that prohibit this. The burden of proof ultimately lies upon the claimant if one claims that such a prohibition does exist. This proof is unequivocal and cannot be challenged. This proves that the Prophet and the companions prayed in a mosque with graves in it and thereby proves the existence of such mosques without any opposition from the Prophet or the companions. Some other examples from the Companions of the Prophet(SAWS), that prove the legality of bayt or a strucure over the grave was the practice of pitching a tent over the graves: Ibn Abi Shayba (3:217) recorded that ‘Umar built a large structure (fustat) over the tomb of Zaynab (Also see, al-Baji al-Maliki’s Kitab al-Muntaha II p.23; Ayni’s Umdah VII p.46). A structure was pitched on the grave of Sayyida Aisha(radiallahu anha)’s brother Abdrahman bin Abi Bakr(see Fathul Bari vol3 p286; al-Baji al-Maliki’s Kitab al-Muntaha II p.23). Fatima bint Husayn built a large tent over the grave of her husband Hasan ibn Hasan ibn ‘Ali and kept it for a year, then removed it (Fathul Bari3:200, Ibn ‘Asakir 70:19-20, Ibn Abi Dunya’s Hawatif p. 92 #131). Muhammad ibn Hanafiya built a fustat over the grave of Ibn ‘Abbas (Khalili’s Irshad1:185, Ibn ‘Abd al-Barr’s Isti’ab II p.352; al-Baji al-Maliki’s Kitab al-Muntaha II p.23; Ibn Hallikan Wafayat al a’yan wa ‘anba’ abna’ az-zaman III p.64; Ayni’s Umdah VII p.46). The legal scholars explained from the above examples that, tents were not reprehensible as long as “the shade relieves the living”(Shirwani Hashiya III p.197). That is, as long as the “right intention” prevailed and not the aim to relieve the deceased(Fathul Bari III pp 286f; Ayni Umdah VII p.101; Qastallani Irsad al-Sari II p.370; at-Turkmani al-Hanafi Kitab al-Luma I p.216). Others argued that tents were useful and hence allowed if they shade the Quran reciters at a tomb(Ali al Qari al-Hanafi’s Mirqat al-Mafatih IV p.69). It must be reminded that the tombs that are in existance today are not considered as a masajid in and of itself, in the first place. Many of them are mere structures to facilitate visitation and tabarruk and to mark or preserve the location of the grave, by a house or dome over it . And those places were mosques do exist, then they are built in the vicinity of the grave and is usually seperated from the tomb by some form of a barrier built around the grave or in a room under a whole complex of buildings. The tomb is also at times used as a place for preserving the relics of the individual and provisions are made to facilitate ziyarah. The argument made against the traditionalist Sunni community, that they have turned the graves into masjids is completely false, as neither the grave itself nor its immediate close surrounding was considered ever as a masjid. They were instead seperated from the masjid, just as the grave of the Prophet (peace and blessings be upon him), was separated from the masjid by walls. The grave by itself never tookover the function of a masjid. 1) The Wahhabis are opposing the way of the Salaf, who better understood the caution from hadiths and acted by merely putting up a barrier between the grave and masjid. 2) The Wahhabis need to bring proof from the Quran and Sunnah as to how many metres or inches away from a grave, can a masjid be built or salat be performed. In reality, they themselves are the heretical innovators introducing laws into the religion that never existed in it. The sixth possible meaning is that, it is prohibition of frequently visiting the graves. The logic being that such a frequent visitation would make the visitation of the grave equivalent to the frequency in which a masjid is visited. And hence the grave turns into a masjid by frequent visitation. Some of the Maliki scholars related this opinion. Firstly, this meaning would have no basis to prohibit tomb constructions as it is merely a question of frequency of visitation. Furthermore, scholars have divergent opinion on this meaning. The scholars who do not support this opinion instead say that graves do indeed have to be frequently visited and they cite other narrations as proof. In the presence of divergent opinions, there is no sufficient proof that one opinion could be selected and forced upon the others who do not hold this opinion. Additionally, this meaning is regarding the dis-likeness of “frequently” visiting and not a dis-likeness of in-frequently visiting them. Indeed, the greetings upon the Prophet(peace be upon him) reaches him from any place on the earth and it is not a requirement that a person has to always visit the graves to send their greetings. But that does not prohibit a person from visiting. Finally, this meaning cannot be used by the dhahiris and la-madhabis of the Wahhabi sect, who often claim with much pomp and glitter that they would accept an opinion or interpretation of an Imam, only if they find proof for it in the “Quran and Sahih Hadith“. So they have to provide us with proofs from Quran and Sahih Hadith for the validity of this interpretation of the hadith in question, without any possibilty of speculation or ambiguity in their proof. Until then, their usage of this interpretation would by default remain rejected by their own principles. Some of the Wahhabiyya attempted to counter argue against these unequivocal and unambiguous proofs. They say that since the Prophet (pbuh) was buried within a room that was pre-existent , it is not a proof that a tomb could be constructed after the burial. The fact that they re-builded the structure is a explicit re-affirmation of the fact they did not have a problem with even constructing a structure over the grave of the Prophet(peace be upon him). So if the Salaf- the best of generation, had no problem with having and building the tomb, then neither should the so called “Salafis” who falsely label themselves as the inheritors and followers of the Salaf, be now hypocritically abondoning the Salaf, when it goes against their whims and fancy. Another fact unveiling their low level of intelligence with this argument of theirs is that, according to this argument itself it becomes permissible to construct a tomb first and then later shift a persons body within the structure or even within a masjid. I.e., one has to merely shift a body into a pre-existant structure to meet the great puritan standards of the Wahhabiyya. This argument of theirs is nothing but a mockery of Islam. Another argument introduced by the Wahhabi apologetic in this respect is that, this is an exceptional case and not the general rule. They then explain that Prophets are to be buried where they passed away and hence the need for such an exception. Firstly, the mere acceptance there are such exceptions to the general rule automatically invalidates the interpretation of the hadith they give because it implies that under other valid reasons, it is permissible to have structure over the grave and not always forbidden, sinful or cursed. The Muslims has disagreed over the place of burial. Some favored burying him in his mosque, while others thought to bury him with his companions. Abu Bakr said, “I head the Messenger of Allah(pbuh) saying, ‘No prophet dies but is buried in the place he has died.’” So the bed on which he died was drawn away and they made a grave under it. We see that an alternate opinion existed among a group of the companions, to use the place near the mimber inside the mosque for burial. The existence of this alternate opinion among the companions, to locate the grave near the mimber, is proof that the final decision to keep the gravewithin a structure was not a result of some exceptional necessity. That infact is also another proof for the legality of burying within the masjid itself (not just within a house or structure). Furthermore, the action of companions to also bury the two foremost companions and righteous khalifas, Abu Bakr(radiallahu anhu) and Umar(radiallahu anhu) within the structure unequivocally proves that this was not a case of an exception or one that was restricted to the Prophet(peace and blessings be upon him). This argument concocted by the Wahhabiyya fails here completely. But to eliminate the satanic doubts that some may attribute to the companions of the Prophet(peace be upon him), suggesting that they were mistaken or ignorant or incompetent to apply shariah properly, we therefore extend our case in order to prove that this action was based on prophecy. Hence, as Ibn Hazm mentioned, it is proven that the location of the grave within the structure was known to the Prophet without any objection against it. The groups that wish to destroy the tomb or re-bury the Prophet(peace be upon him) in a new location or wish to make a division between the mosque and grave disconnecting and dividing the “garden of paradise” between the mimber and grave are clearly heretics rebelling against the teaching of the Prophet(peace be upon him). There is … consensus among the scholars of the four madhhabs that the blessed place which contains his blessed fragrant body (asws) is superior to any other place on earth, and some (e.g. Ibn ‘Abidin al-Hanafi, Ibn ‘Aqil al-Hanbali, Salim an-Nafrawi al-Maliki) added even superior than the Divine‘Arsh. Consensus on this is documented by: Ibn Habira in Fiqh ‘ala Madhahib al-A’imma al-Arba’a1:337. Also: (Hanafi): Ibn ‘Abidin (Hashiya, 2:626), Tahtawi (Hashiya Maraqi Falah, p. 70). (Maliki): Qadi ‘Iyad (Shifa’, 2:58), Hattab (Mawahib Jalil, 3:344-45), Qarafi (Dhakhira, 3:378, 381), Nafrawi (Fawakih Dawani, 1:45). (Shafi’i): Nawawi (Majmu’, 7:389), Ibn Kathir (Bidaya, 3:205), Suyuti (Khasa’is, 2:351), Munawi (Fayd Qadir, 6:264). (Hanbali): Ibn ‘Aqil (see: Subki’s Shifa’ Siqamand Ibn Qayyim’s Bada’i Fawa’id2:147), Ibn Muflih (Mubdi’, 3:70). This is the belief, status, honor, reverence and religious devotion the Imams as well as Islamic Ummah at large gave to the grave of the Prophet, and by sharing and inheriting this Prophetic mantle, towards the graves of Ulema and Saliheen of the Islamic Ummah. The Wahhabiyya have instead parted ways from the straight path of the Islamic Ummah, in cursed rebellion. Hence, a true vision comes from Allah Himself and is a part of prophethood. The location of the grave of the Prophet(peace be upon him) and his two companions, to be within the structure of the house, comes from Allah Himself. This vision of Sayyida Aisha(radiallahu anha) also adds to strengthen the various similar visions the pious people of Islam have reported in connection to the burial of a pious person. 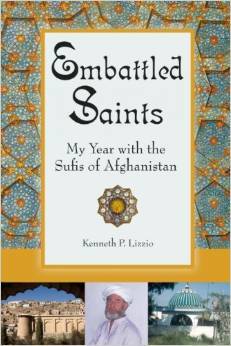 The modern day khawarij look upon such visions as mere superstition, Sufi fairy tales and a subject of mockery. Quranic verses or prophetic narrations are not interpreted in isolation. This is a major fallacy of the Wahhabi movement and similar protestant movements. The meaning of the narration that curses the Jews and Christians or that which prohibits building over a grave, cannot be interpreted by isolating itself away from the reality of the grave of the Prophet and His companions. If the meaning was as the Wahhabiyya movement give it such that the curse against Jews and Christians was merely on account of having a structure over the grave or a masjid besides it than, the first and foremost and the most important grave over which such a structure should have been avoided would be the grave of the Prophet(peace be upon him). It is to be noted that the curse against Jews and Christians, was specifically referring to what they did to the graves of their Prophets and righteous individuals and not with regards to ordinary laypeople. Yet the most honored Prophet in Islam (infact, the leader of all Prophets) and two of the most righteous individuals in this Ummah were buried within the structure by the best of people, the companions around the Messenger, and brought within the fold of the expanding masjid by the best of generation, the Salaf, without any objection from anyone in the history of Islam. None of the people of Islam has ever questioned or raised doubt over this or over the validity of praying in Masjid-un-Nabawi on account of the presence of the grave of the Prophet(pbuh), until the heretical innovators raised their satanic heads from Najd. 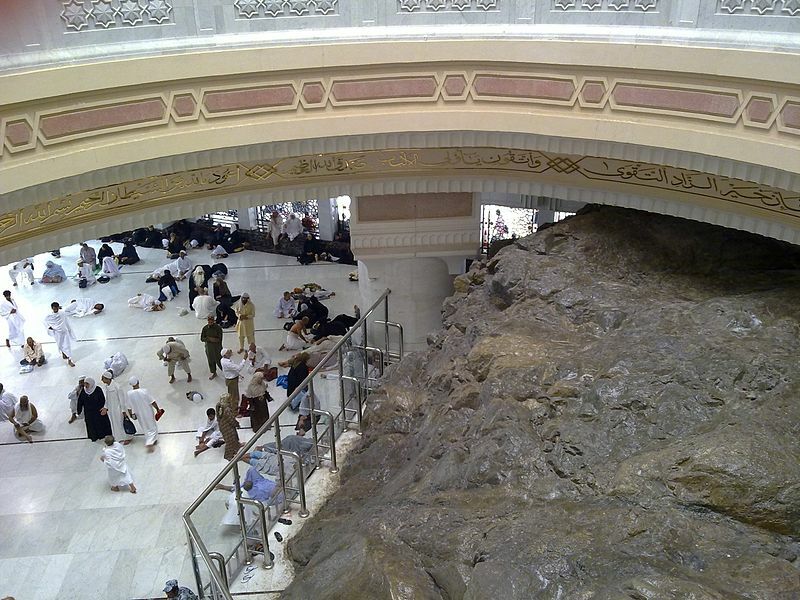 The first and foremost source of proof in Islam is the Qur’an and it does mention this example of a Masjid being built over the people of the cave. Yet Allah did not reveal any verse that abrogates this, opposes or curses this nor declares them as “Qubburis” or grave worshipers, as the Wahhabi sect does in rebellion against this verse. When the Prophet(peace be upon him) cursed the Jews and Christians for taking the graves as a Masajid, he(saws) did not refer to this Quranic verse and explain that these people mentioned in the Quran, who built a Masjid over the people of the cave, were also cursed for it. Therefore, a distinction has to be made between what the Jews and Christians were cursed for and what this verse of the Qur’an permits. The distinction between the two is that the Prophet (peace be upon him) cursed the Jews and Christians for taking the graves in and of itself as a Masajid, in its literal meaning, which is to take the grave in specific as a place and direction of prostration, or to have idols built over them(which is the place of prayer of idolaters), as explained previously. While the verse of Qur’an only mentions that they would take a Masjid over them. It does not mention graves in specific. The Masjid being built over them is in the sense of house of worship and being located around or adjacent to them, such that the Masjid ultimately surrounds over them as an enclosure , building or a house. There is no proof that the Companions, of the Prophet(saws), ever said this Quranic verse was abrogated or that the people mentioned in the Qur’an were cursed for it. There is no proof that the Salaf ever said this Quranic verse was abrogated or these people mentioned in the Qur’an were cursed for what they did. The Wahhabis, in rebellion against the Qur’an, instead describe such mosques as “temples” of polytheists. Most of the commentators of the Qur’an say that these people who built a Masjid over them were Muslims, while some of the commentators explicitly state this verse to be a proof for constructing a Masjid over graves. Remember, if one agrees that the people who built the Masjid over the people of the cave, were Muslims, then it would be impossible for them to use the narration( they often use) against such, because, it would entail the absurd view that the Prophet(peace be upon him) was sending curses upon the believers of the past. Instead, the Prophet(peace be upon him) only cursed the Jews and Christians and did not say that the monotheist believers of the past did the same and where cursed for it. This Quranic detail was mentioned in Surah al-Kahf, which is a Quranic chapter that is recited to seek protection from Dajjal. What this indicates is that it predicts a Dajjalic movement that would raise controversy on this subject during the end times. This detail present in Surah al-Kahf serves as a weapon for the rightly guided believers against the Dajjalic forces that emerge during end times, such as the Wahhabiyya. The Prophet(peace be upon him) forewarned the appearance of such Dajjals: “There will be towards the end of time, dajjals, liars who will say to you what neither you nor your forebears ever heard before. Beware of them lest they misguide you and bring you confusion.” [Sahih Muslim]; and that the last of the Khawarij would follow Dajjal: ‘every time a generation of them appears it will be cut down-this will occur over twenty times – until the Anti-Christ appears in their last remnant.’ [Sunan Ibn Majah]. Furthermore, the righteous Khalifa Umar ibn Abdul-Aziz raised the grave of the Prophet (asws) even more (Fath al-Bari 3:357). It is therefore established that the grave of the Prophet(peace be upon him) was elevated above the ground. Ibn Hajar al Asqalani, commented on this narration (Fath al-Bari (3:256)): ”Al-Bukhari narrated it with its chain in al-Tarikh al-Saghir (1:42). It contains a proof for the licitness of raising high the grave and elevating it above the surface of the earth.” Similarly, Imam Qastallani, in his commentary of Sahih al-Bukhari called “Irshad al-Sari fi sharh Sahih al-Bukhari”, commented that in this hadith is proof a high grave is jaiz (permissible). Therefore, it is also established that having a grave marked high/elevated above the ground, is from the sunnah of the Prophet (peace and blessings be upon him). Firstly, in this narration there is no mention of the “height” or “elevation” of the grave nor any proof that the “leveling” of the grave being referred to here is on “leveling” to the ground. Secondly, what this narration indicates is that the shape of the grave should be leveled. The Imams differed on whether the upper surface should be shaped as a mound (as reported in other narrations) or whether it should be shaped by flattening its upper surface (i.e., giving it a squared shape). The difference between the scholars on this issue of “taswiyat” was on the shape of the outward surface of graves and not on how high a grave should be. The scholars of the Shafi school, who held the opinion that the grave should be leveled, also at the same time said that it was desirable the grave should be kept one-hand span high. This was not a contradiction. They were referring to separate issues. The leveling was regarding its surface shape and not the height. Thirdly, the meaning of “taswiyat” does not mean “leveling” alone. It is also means “proportioning” or “equalization”. The “taswiyat” referred to in these narrations was understood alternatively as a reference to proportionately leveling the grave, equalizing the grave or maintaining the grave; as opposed to leaving the grave unleveled, non-uniform or unkept with bumps and holes. This is a common practice that anyone who has seen a newly dug grave being filled would be capable of noticing. At the end of filling the grave, there remains a outward protruding surface that would be smoothened out, or a pointed surface that remains mounted at the center which is then leveled proportionately, to give the grave a clean, even and maintained appearence. 1) There is no decisive proof in this narration that indicates it as a reference to levelling the grave to the ground or that it is a prohibition of having the grave elevated high. Conjecture is not a proof. 2) The scholars of the four schools, recommended that the grave should be raised at least a hand span above the ground. Therefore it is further impossible that this hadith was regarding the leveling of the grave to the ground. For, leveling to the ground is not the same as raising it above the ground, whatever the span above the ground be. 3) The interpretation being used by the Salafists, would be counter to the apparent meaning of the narration. This is because it would imply that the grave was first raised high and then later leveled to the ground by the same Sahabi. This would make it a pointless exercise of ordering the grave twice, as the grave could have been kept at the required ground level at the beginning itself, rather than first elevating it high and then leveling it back to the ground level at the same time. And so since it is clearly impossible that the grave here was even high at all, it becomes apparent and clear that the act of leveling that did take place, was NOT a leveling of a high/elevated grave. 1) The apparent of this narration does not make any reference to the graves of Muslims. On the contrary it makes reference to “images”, indicating that it was regarding the idols and graves of idolators. The la-madhabiyya cannot use this as proof until they, as per their own principles, can strictly prove from the Quran and Sahih Hadith, that this was applied to the graves of Muslims too. Conjecture is not a proof. 2) There is no proof that this applied to graves that was built on land that was owned privately. If it was inclusive of land owned then, it would mean it is permissible to enter a Church or a house of a Non-Muslim and destroy the images therein. That would be contradictory to the Islamic ruling. 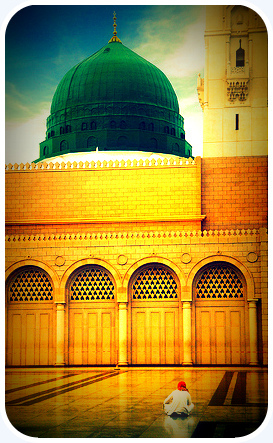 3) There is no proof that the righteous Salaf or Khalaf has ever used this hadith to call for the destruction of the structure that existed over the grave of Prophet Muhammed (peace and blessings be upon him), despite there existing a house over the grave and despite the masjid being expanded to include the grave from the 1st century of Islam. This proves unequivocally that the narration is not an absolute reference to every grave or every kind of high structure over it. 4) There is no proof that the Sahabah, Salaf or Khalaf went about destroying the graves of other early Prophets even though they were held in veneration by the Jews and Christians. On the contrary we find that those graves were to soon come under Muslim control and Muslims improved the tombs, rather than destroy it. Surely, if such vandalism being practiced by the Wahhabiyya were practiced by the Muslims back then, the books of history would have mentioned it. 5) There is no proof that by this “leveling” of high graves what was meant was a leveling of the graves to the ground. Conjecture cannot be a proof. 6) There is no proof that this leveling of high graves were carried out because high graves were prohibited in and of itself. It could instead be that the purpose of leveling the high graves were so that the land was leveled, and by it make the land usable for the Muslims. 7) This narration could alternatively be understood as a leveling those high decorated graves in graveyards, that are built out of ostentation, vanity and wastage of money, and not those graves that are built for purpose of marking, protecting and visitation. The practice of building over graves was present from the time of Salaf and that too among the Meccans itself. Therefore, it is established that using stones, whether in the form of a big one or as pebbles, to mark all of the grave, is from the Sunnah. Imam Nawawi said, the permissiveness of using clay was shared by vast majority of scholars except for al-Ghazzali and al-Guwayni [Rawdah II p.136]. This opinion was also shared by Ibn Hanbal. [Ibn Qudamah in Mughni II p.507; Ibn Muflih in al furu II p. 271 ] and by the Hanafites [Mulla Ali al Qari in Mirqat al_mafatih IV p.68]. Moreover, there is no mention in this narration whether it is a reference to prohibiting the usage of gypsum inside the grave or outside the grave. Conjecture cannot be a proof. Thirdly, the prohibition of gypsum could be because of the harmful nature of this specific material, as the scholars explained. Zain ad-din al-Iraqi(d. 806 H) said: ”Someone from among the learned mentioned that the rational principle behind the prohibition of whitening of tombs was the fact that gypsum was very inflammable. Therefore, there is no harm in using clay instead, as set down by al-Shafi” [Suyuti in Zahr ar-ruba ala l-Mugtaba IV p. 71; Samhudi in Wafa ul Wafa, ahkam al janaiz p. 266]. Supporting this is what the Sahabi, Zayd bin Akram, said when his son was being buried: “Nothing must be in his neighborhood that has been touched by fire” [Ibn Abi Shayba in Musnad III p.218; Ibn Qudamah in Mughni II p.503 and Umdah p.121; Ibn Muflih in Furu II p.270; ]. If one is to object using the latter part, of the narration of Jabir, that apparently prohibits constructing a “building” on the grave, then, such an argument does not hold, because, having a grave marked in such a manner is not even called or understood as a “building” either in the language or general usage [ See, Suyuti Zahr ar-ruba ala l-Mugtaba IV p.71; Ramli Nihaya III p.34; Shirwani Hashiyah III p.198]. They say that, in this narration the word “build” is specifically used and therefore it has something to do with “building” over the graves and cannot be merely explained as prostration towards or on the grave. The narration starts by describing a “church” which the wife’s of the Prophet(saws) had seen. But when the Prophet (peace be upon him) then explains the matter, he refers only to a “masajid”, that they built over a grave. The Prophet(saws) did not say that a “church” was built over the grave. This distinct terminology indicates something more specific was being objected too by the Prophet(saws). The meaning of masajid in general usage is a place of prayer. A place of prayer need not have any building or roofs or walls. The mere usage of the ground as a place of prayer makes it a masjid. And from the fact that the Prophet(saw) did not say a “church” in specific indicates that he was not concerned with mere roofs or walls or shelter for prayer being built around the grave. This narration cannot be opposed or be contradicted by what the grave of the Prophet(saws) was, during the time of the companions and the righteous salaf after them. Therefore any explanation to this narration, has to exclude the grave of the Prophet(saws) being tainted by it and no objection should be made against graves that resemble that of the Prophet (saws). This narration refers to the Christians only. So this is something specific to the Christians, unlike the other narrations where both the Jews and Christians are mentioned. That which concerns us then, is to understand what this distinct place of prayer of the Christians is. 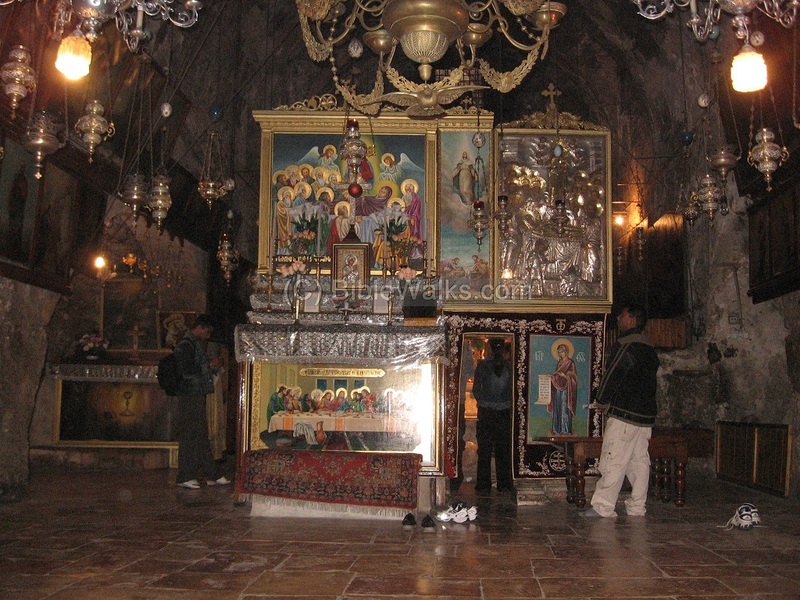 As it is obvious from the Christian usage of idols for worship, the place of prayer of a Christian is not like Muslims, but instead a place upon which they set up their idols and towards which they face for prayer. 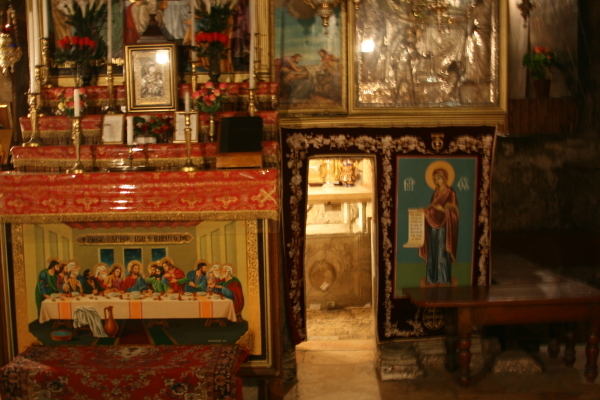 As we can see clearly from these pictures, an altar is built over the grave and the grave is within it. This altar built over becomes their qiblah just as any of their other idols. So there are three specific factors that is distinct here: 1) A place of prayer or altar in specific, is built specifically on or over the grave 2) Idols being placed on the grave 3) Taking the grave as a qiblah of prayer. Those who equate Islamic tombs, such as that of Prophet Muhammed (peace be upon him), as equivalent to this described in the narration, are either ignorant or seeking to distort the facts. 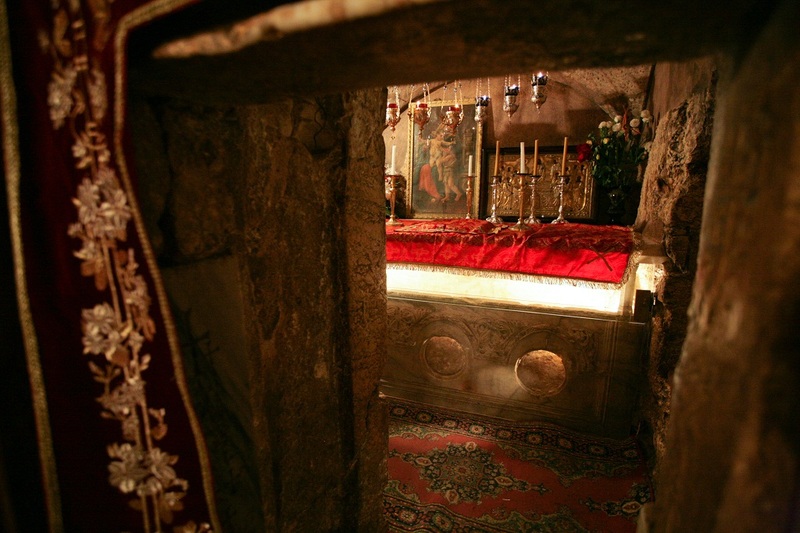 Did the Companions vandalize the grave of Prophet Daniel ? Firstly, this narration has nothing to do with having structures over the graves. Therefore the idea of permitting vandalism and desecration of graves on the mere existing of a structure over the grave is never derived from this. Secondly, they are misleading by not clarifying the contextual details of the incident. 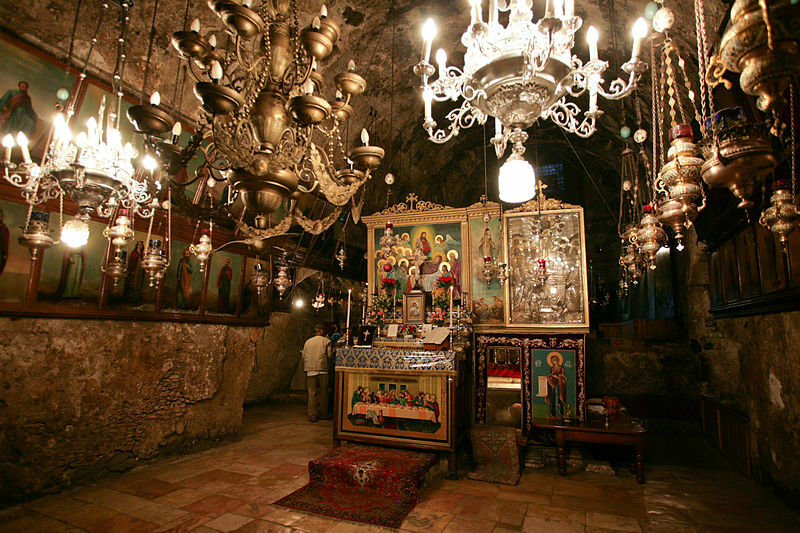 The Jews were actually using the remains of the Prophet Daniel by bringing it out into the open. The narration quoted by them itself mentions this fact, that, the body was kept in the open lying on a bed. One can read more details on this here. From the details of it, we can clearly see that the Jews used to constantly dig out the coffin and move the coffin around between two groups of people. So it in this context that Umar bin al-Khattab kept the body and grave away from them. It had nothing to do with having a construction over the grave nor even to do with the fact that the Jews sought tawassul by it. On the contrary, it was because the remains of the Prophet was being fought over by the groups of people and rights of the dead being violated in this manner. Such violation was then prevented and the remains finally laid to rest safely to prevent it from happening again. Therefore, the Salafists have no proof in this whatsoever. This is rather a proof against the salafi grave diggers. In attempt to force their heretical ways upon the Muslims, groups of armed fanatic bigots from the Salafi sect wreck destruction of the graves and dig out their remains. By this they are in effect violating the rights of the dead, the very matter Umar bin al-Khattab(r) sought to prevent. The Messenger of Allah, (may Allah bless him and grant him peace), cursed those “who dug up graves”. (Al-Muwatta of Imam Malik). 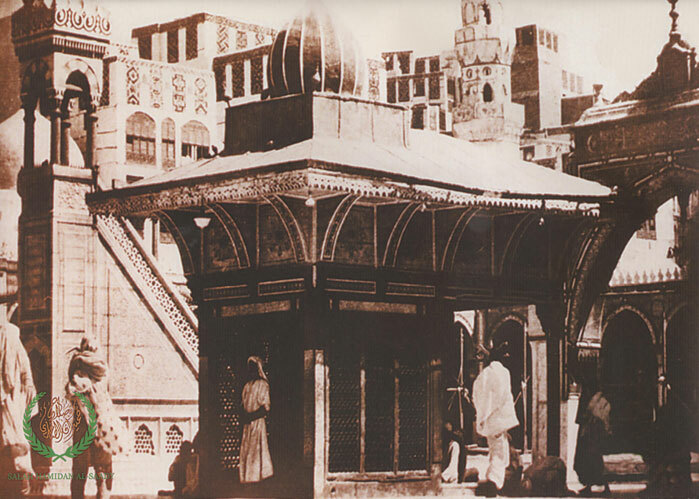 Besides being confronted by the fact that, the grave of the blessed Prophet of Islam and two of his closest companions, were buried within a structure from the very first day, they have to also deal with the fact that other holy places or relics had domes or structures constructed over it. From among them is the relic called Maqam Ibrahim, which had a dome constructed over it in the early periods of Islam. Umar bin al-Khattab(r) was “the first one who built a structure (maqsura) around it.” (Ibn Hajar in Fath al-Bari, 8:169). Even today, there continues to be a structure over it in the form of a gold casing. As per Wahhabi tradition and customs, this should be an evil innovation that leads to Muslims towards polytheism. The Zam Zam well also had a dome built over it in the early Islamic period, by Caliph al Mansur (149AH). This too should be categorized by them as an evil innovation and an act leading to polytheism. Giving any significance to signs or symbols(sha’air) of Allah manifested in history on earth is equated with polytheism, as per their tradition. The Wahhabi influenced Saudi regime, even constructed for the first time in the history of Islam a structure over the two hills of Safa and Marwa, and made it part of the Masjid al-Haram complex. As per the principle customs of Wahhabism, it should be an evil innovation that leads Muslims towards worshiping mountains. In fact the idolaters prior to the advent of Islam used to have idols placed at Safa and Marwa, and they use to venerate them while performing the tawaf. 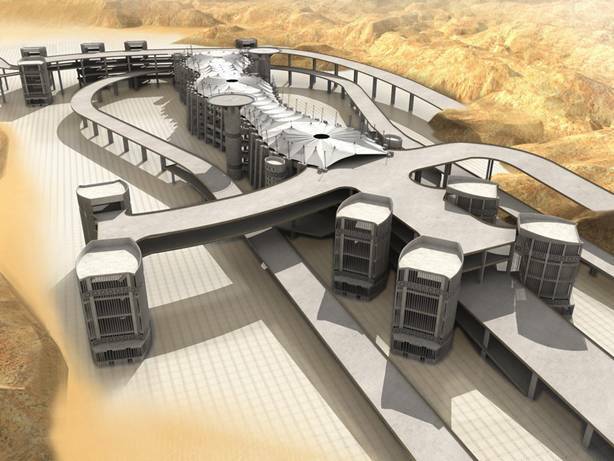 By Wahhabi rules of interpretation, that would constitute proof to destroy and bulldoze the structure over it and prevent people from conducting tawaf there, as a method of blocking the means to shirk, or even bulldoze the Safa and Marwa if needed. If they defend themselves by saying that all of these constructions are for facilitating or protecting or honoring that which is permitted, we say structures around graves are similarly for protecting, honoring and facilitating acts which are permitted and recommended. 1 The meaning of prohibition of “building over them” is understood with the same meaning of prohibition of “sitting over them” or “stepping over them” which are mentioned in continuity with such narrations. Just as the prohibition of sitting or stepping over them, does not prohibit sitting or stepping besides the grave, similarly the prohibition of building over them does not imply prohibition of building around them. 6 Imam Ahmad ibn Hanbal said to Abu Bakr al-Marwazi: ”Let him use the Prophet as a means in his supplication to Allah.” And this is not restricted to the Prophet (peace be upon him), and extends to others from the righteous. Ibn ‘Imad al-Hanbali writes in Shadharatu ad-Dhahab in the biographical note on as-Sayyid Ahmed al-Bukhari, “His grave is visited and sought blessing through it”. Ibrahim al-Harbi said, “Dua’ at the grave of Ma’ruf al-Karkhi is well known and is accepted.” Ibn al- Jawzi says: ”We ourselves go to Ibrahim al-Harbi’s grave and seek blessings with it.” Ibn al Jawzi al hanbali also reported regarding the grave of Abu Ayyub al Ansari(radiallahu anhu), who’s tomb still stands today in Turkey: ”al-Waqidi said: It has reached us that the Eastern Romans visit his grave and seek rain through his intercession when they suffer from droughts.” Imam Nawawi in his “Tahdhib Asmaai wal-lughaat”, describes the grave of Hamza(radiallahu anhu) and Talha(radiallahu anhu) as a place where ziyarah is done and tabaruk is taken. 7 The narrations cursing the Jews and Christians, do not make any reference to the height/elevation of a grave. Such narrations are therefore excluded from requiring more explanation here than what has preceded. Note that some of the scholars have further explained and classified this issue. The question of constricting space in public graveyards would not apply to the Prophets or the friends of Allah, because their bodies do not decay and their graves would always be occupied. Secondly because their grave could be built with an elevated marking in such a manner that it does not occupy any land beyond itself or constrict the space. Hence the question of occupying or restricting the space would not emerge. A similar exception is when they are buried in cemetery’s that is restricted for the special ones and not for general public. “Question: Given that the tomb of one of the companions of the Messenger of God is sheltered by a mausoleum (qubbah) and someone wishes to be buried beside it though there is not sufficient space to do so unless a small part of the (already existing) mausoleum is removed: is this removal permitted ? If you consider it permitted, it will be done, but if you consider it forbidden, then how would that agree with what as-shafii said, ‘I saw the governors in Mecca ordering the destruction of funerary structures, and the jurists did not raise their voice against them’?